Do you remember the Mansion Adventure Map? 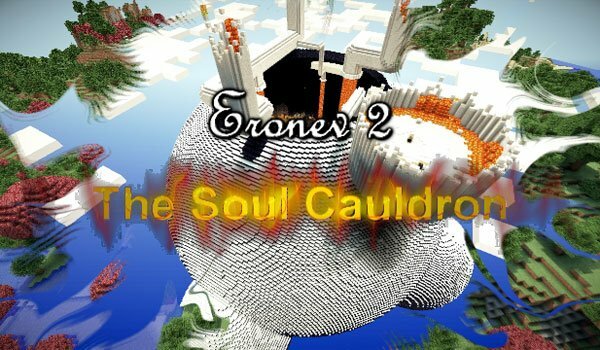 Well here’s the second part of this great adventure map, which promises puzzles, secret places, and an epic struggle under the name Eronev 2: The Soul Cauldron Map 1.7.2. This time, the author has focused on developing a map of greater difficulty, since after the first part of the map, it appears that the author was criticized for making a map “very easy” so far has focused on creating a users map to something more “advanced” for Minecraft. From the beginning, we are able to create potions to move on the map and share with villagers. Furthermore, this new map is very open comparing with the first one, so will have to think how to overcome certain obstacles. How to install Eronev 2: The Soul Cauldron for Minecraft 1.7.2? New hours of adventure, puzzles, and fight in your Minecraft!